Sessions start from £59 per session or £636 for 12 sessions. Sometimes no amount of exercise or healthy eating can shift those stubborn fatty areas around the abdomen, upper arms and outer thighs. If this sounds like you, ProMax Lipo could be for you! ProMax non surgical liposuction treatment uses ultrasonic cavitation to effectively reduce fat. ProMax has quickly become one of our most successful treatments as the results are fantastic and requires no downtime! Get in touch and start your journey to being the best you. How does PromMax Lipo Work? This powerful face and body system not only allows a clinic to offer dramatic facial skin tightening but also the three most popular body treatments – Inch Loss, Cellulite Reduction and Body Skin Tightening. DON’T WISH FOR A HEALTHIER BODY OWN ONE! Why not spread the cost of your cosmetic surgery? You can pay a deposit of just 10% and choose either 10 monthly interest-free payments or loan repayments at 14% up to 60 months. Alternatively, Changeplan is a budget plan where you can pay monthly by direct debit throughout the year (no credit available on this plan). What Is ProMax Lipo Used To Treat? • Fat reduction and inch loss on the arms, abdomen, back, love handles, hips, thighs, and other small areas of localised excess fat. • Body shaping and toning. • Lymphatic drainage and improvement in the appearance of cellulite. • Eye and neck lifting, as well as skin tightening and wrinkle reduction in the face. How Long Does ProMax Lipo Last? 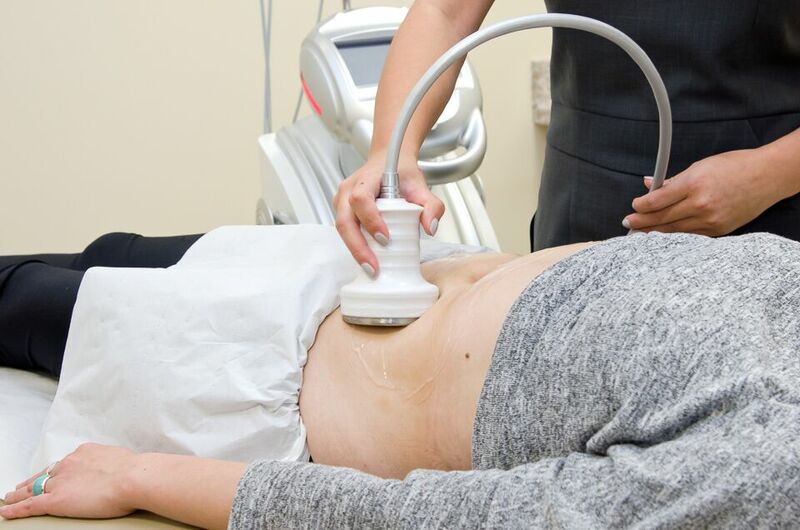 ProMax Lipo damages your fat cells during the ultrasonic cavitation process, these are eventually flushed naturally out of the body, and do not grow back. However, any remaining fat cells left in the body can increase in size over time, this is usually due to a poor diet and inactive lifestyle, therefore localised deposits of fat could return in the same area over time. Cellulite treatments are not considered to be permanent as there is currently no recognised cure for cellulite. ProMax Lipo will however, improve the appearance of cellulite over a long-lasting period, with the best results being achieved by following a full regime of refular ProMax Lipo sessions. Our practitioners are able to provide you with tips and an aftercare regime to get the most out of your Promax Lipo results. Facial skin tightening and wrinkle reduction is also not regarded as permanent, but positive results will become visible after your first treatment thanks to the tightening of collagen fibres. Over time results will improve as the stimulated fibroblasts produce new connective tissues. Many people opt to have top-up treatments around two months after their initial treatment regime. Confused about which way to turn? Here are some deciding factors? 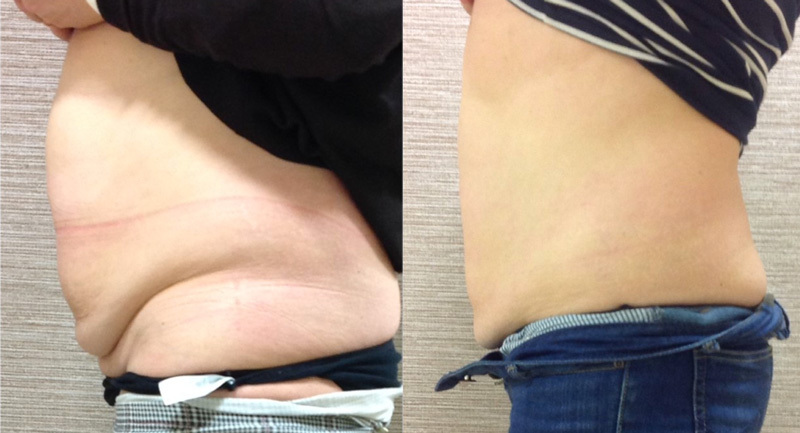 How is Promax Lipo Non Surgical Fat Reduction treatment carried out? A layer of gel is applied to the treatment area and an applicator moves in circular motions delivering the Ultrasound energy. A warm, tingling sensation may be felt but treatment is very comfortable. A high pitch sound can also be heard. How many Promax Lipo treatments will I need? 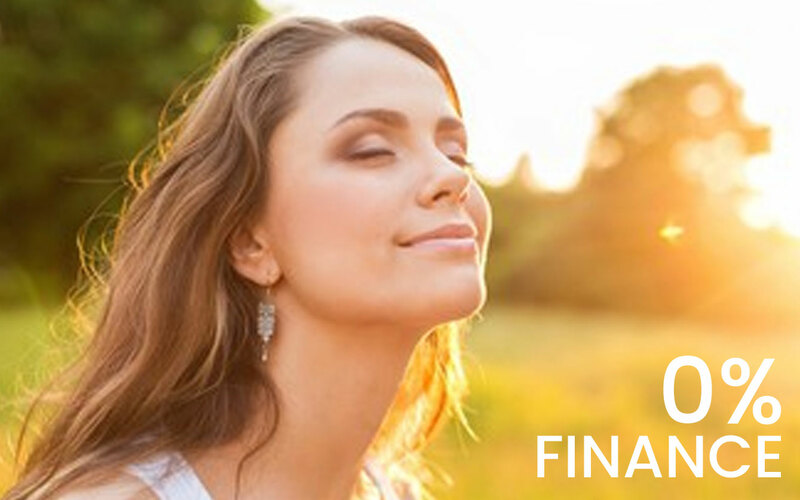 Typically a series of eight to twelve treatment sessions are recommended once or twice a week. Most people experience a reduction in body circumference measurements after only just a few sessions. What can I expect after my Promax Lipo treatment? Improvement is often noticed after only a few sessions. We take measurements before and after treatment with clients experiencing up to a 3cm reduction in single waist measurement. It is also quite normal to experience an increased need to go to the toilet and we encourage you to drink adequate water to aid the removal of the fat cells. Are there any side effects to Promax Lipo ? Promax Lipo is a non-invasive, painless and, most importantly, safe treatment. To date we have not experienced any side effects. However, we cannot rule out the possibility of a small blister occurring. If you would like to find out more about the perfect Radio Frequency Treatment for Weight Loss give us a call on 02392382000 to discuss our non surgical fat reduction treatments with Promax Lipo. Sessions start from £49.25 per session or £599 for 12 sessions.